AS days to 20th May, 2014 draw closer, the Malawi Election Information Center prepares it’s Data Officers. As part of the Election Situation Room, the MEIC was to recruit Data Officers for the preparation of the Election Situation Room. 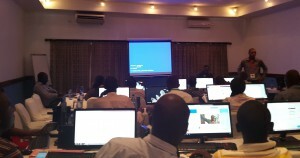 The Data Officers training officially started on the 30th April, 2014 at Malawi Sun. The Data Officers will be responsible for the flow of information come Election day.